Bath reflections that revitalizes and brightens the color fades. Bathroom color and brightness. The system involves the use of Sensación Bath reflexes combined with BOOSTER VITALIZING. method of use : mix without beating, a portion of Sensación with two BOOSTER VITALIZING to obtain a transparent gel. 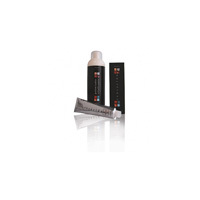 Apply as a styling gel without emulsifying, with both dry or wet hair. After having complied with the time of exposure, rinse thoroughly and dry.